Comments submitted to this website are the responsibility of the commenter. We reserve the right to remove or edit comments at our discretion. Site URLs (if provided) are published along with comments. E-mail addresses are required with the submission of comments but are not disclosed, unless the commenter deliberately does so him/herself by entering the e-mail address in the main comment box in addition to the box clearly labeled for the e-mail address. 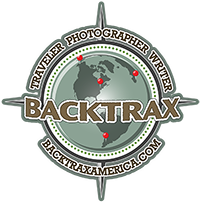 Backtrax reserves the right to delete any comments that it deems not beneficial tothe readership. This includes but is not limited to comments containing profanity, self promotion, harassment, threats, or spam of any sort.